A “cooling off” Contract is a conditional Contract where you as a purchaser (buyer) has a statutory period of 5 business days before being “locked into” the transaction. You may have second thoughts about purchasing the property. You can rescind the Contract during the cooling off period by exercising your right to “get out” of the Contract. During the cooling off period you will need to arrange building and pest inspections (and a strata inspection report, if you are purchasing a strata property). If you require a loan to complete the purchase, you will also need to obtain an unconditional loan approval, for your purchase of the property. You should be aware that whilst you may have been “pre-approved” as a borrower your lender will probably require a valuation of the property, before giving you an unconditional loan approval. Any delay in your lender obtaining a Valuation will result in a delay in you obtaining an unconditional loan approval. You may require an extension of the cooling off period. The cooling off period must be extended “by the vendor in writing”. Sometimes a vendor will agree to grant a purchaser up to 10 days for the cooling off period. There is no obligation on a vendor to grant a purchaser an extension of the cooling off period. During the cooling off period you as a purchaser can change your mind about the purchase, however the vendor will not be able to change his mind about selling the property to you. The “cooling off” system was originally designed to prevent “gazumping”, however gazumping can still occur before a Contract is exchanged. You will need to pay a deposit to the agent (usually 10% of the purchase price), to exchange the Contract and secure the property. You will forfeit (lose) 0.25% of the purchase price if you decide not to proceed with the purchase beyond the cooling off period. Liaise with your lender or mortgage broker and provide them with a copy of the front page of the Contract to confirm the purchase price. Remember your lender will usually order a Valuation of the property prior to granting you an unconditional loan approval. Arrange an inspection of the strata records of the Owners Corporation, if you are buying a strata property (eg a unit, townhouse which is part of a strata plan). We provide you will a copy of any report we obtain. If any problems arise from the inspections, we will contact you and obtain your instructions, prior to the expiry of the cooling off period. You may also decide not to proceed with the purchase. You may find that five days is not long enough to obtain an unconditional loan approval from your lender. We can always ask for an extension of the cooling off period, but you should be aware that there is no obligation on the vendor to grant the extension. The vendor himself must grant the extension in writing, neither his solicitor or the agent can grant the extension. The Contract will not become unconditional until the cooling off period has expired. You will need to pay the balance of the deposit, usually to the agent, prior to the expiry of the cooling off period. Alternatively, you may choose not to enter into a “cooling off contract”. In this case, you will still need to arrange the necessary building, pest and/or strata reports as well as obtain an unconditional loan approval from your lender. The property remains on the market while you arrange the reports and obtain a loan approval. We will review the Contract and discuss it with you. We will also negotiate any required amendments to the Contract with the vendor’s representative. Once you are ready to exchange we will ask you to come into our office to discuss and then sign the Contact. We can then prepare the necessary certificate (known as a Section 66W Certificate) to confirm we have explained the Contract to you and you understand that once the Certificate is handed over on exchange you will not have any cooling off period and therefore you will be “locked in” to the Contract. 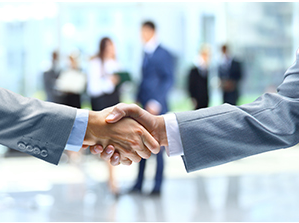 We will then make arrangements to “exchange” the Contract with the vendor’s representative. You will need to pay the agreed deposit, usually to the agent. Whilst you are waiting to exchange the Contract where a Section 66W Certificate is to be provided you have no obligation to purchase the property nor does the vendor have any obligation to sell the property to you. If you cannot obtain an unconditional loan approval or if any problems arise from the inspections, you will be able to “walk away” from the transaction. Any “holding” deposit you have paid to the agent will be refunded to you.